Okay so it’s not Friday, but since I missed the first Friday of July, here is my make up post. Hopefully you’ll forgive me. Five years ago (can’t believe it’s been that long) I went on a 6-week trip to Japan through my university. It was a fantastic experience and I would love to go back someday. 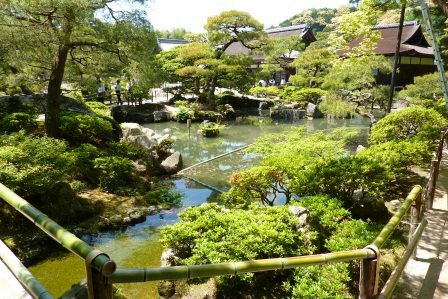 The beautiful shrines, friendly people, amazing food, and historic sites make it a wonderful country to visit. The things I most wish America (that includes you, Canada) would adopt from Japan are the vending machines full of coffee instead of soda, and the rice bowl fast food you order by pressing a button and then wait for them to bring you freshly made food. Amazingly delicious, super cheap, and perfect for those annoying tourists (me) that don’t speak more than about 8 words of Japanese. I was there during the spring and early summer, and when I wasn’t wandering around the shops and festivals, I was probably eating something. The food scene there is, obviously, substantially different from the United States and it was super fun to try things. Often I had no idea what I was eating but it was almost always super delicious. As the weeks passed and the summer grew hotter, one of the things I enjoyed the most was the abundance of soft-serve ice cream stands. Giant sugar cones heaping with glorious flavors you never see here like white peach, black sesame, and flavors that to this day I still have not identified. I rarely chose a “normal” flavor like chocolate or vanilla, opting instead to try all the exotic flavors you don’t see around here. 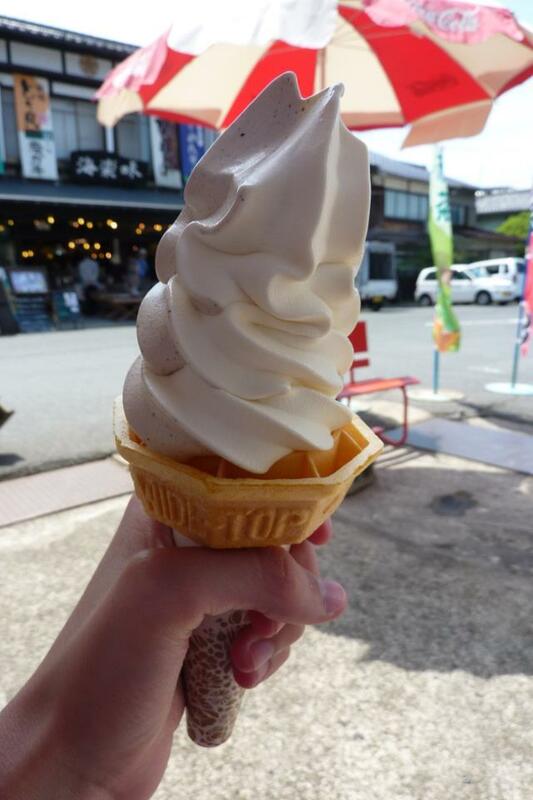 One of my favorites, and one I ordered several times, was matcha ice cream. Admittedly, it sounds pretty terrible. Matcha in tea form is incredibly bitter and definitely an acquired taste that I am still not convinced even the Japanese have mastered. Seriously terrible stuff. However, mixed with cream and sugar and frozen, it becomes a surprisingly amazing dessert. 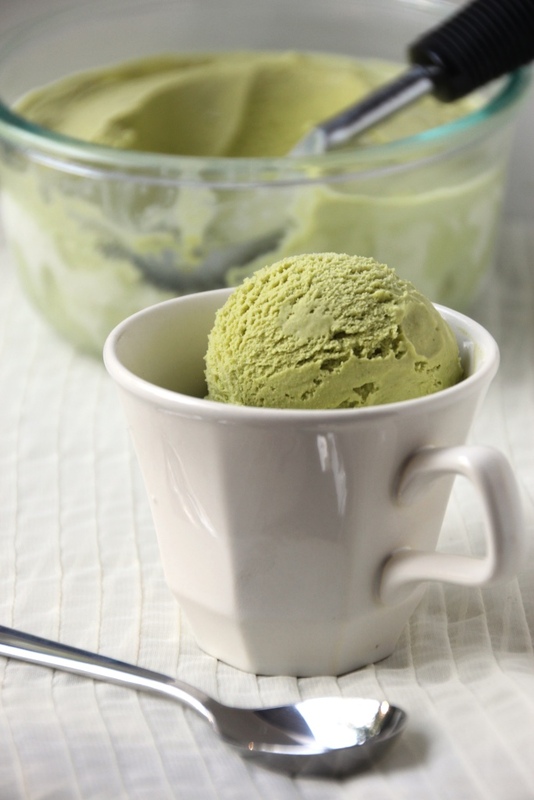 With its distinctive green color, this ice cream won’t be mistaken for anything else. It reminds me of the spinach smoothies I often make for breakfast, except obviously it doesn’t have quite the health factor. 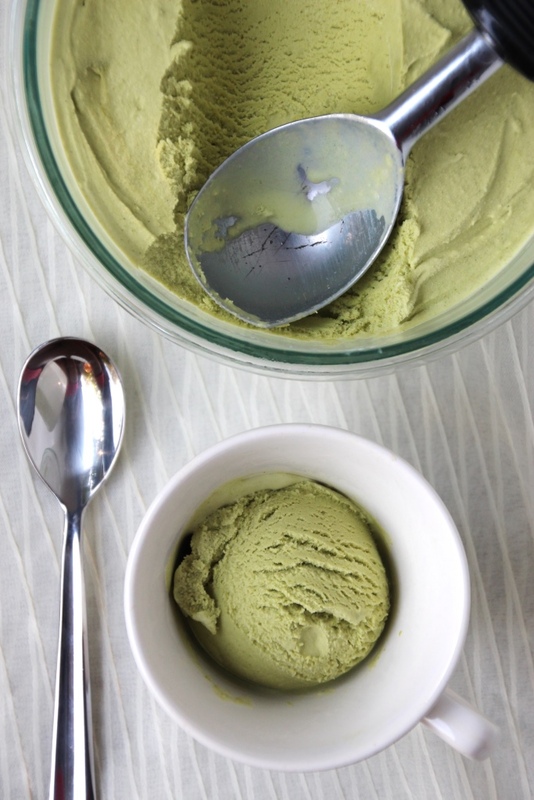 Smooth and creamy texture punctuated by matcha green tea, it’s unlike quite any other ice cream flavor I’ve tried. It is almost savory instead of the overwhelming sweetness often associated with frozen desserts. Mine is fairly strong (and ergo quite green), but you can easily tailor it to your preferences. Start with a teaspoon, and just blend in a little bit more at a time. It does strengthen as it chills in the fridge and so the flavor will be decently stronger once it’s in ice cream form. It is probably better to error on the side of subtlety if you’re new to the flavor, and make a note to yourself to add a little more next time. I hope you give this unusual flavor a try, and definitely let me know what you think! Transfer blender container to the fridge until completely chilled, or overnight. Serve in small portions for a sweet treat. 1 I used 3 tsp the first time, and 2 tsp the second time. I enjoyed both versions but the latter is definitely more subtle and probably a good place to start.